One of the central themes of Tocqueville’s thought is that a political movement, or (at a later stage) a political regime, may be undone by its very success.1 University of Notre Dame professor Patrick J. Deneen shows himself to be a worthy successor of Tocqueville by updating his teacher’s theme, applying it neither to democratic revolution nor to steady-state democracy, but to liberalism. In a cutting style that sustains its momentum throughout, Deneen addresses the widespread sense that liberalism is visibly teetering, and demonstrates with great power that the very successes of liberalism have undermined its own foundations. By itself this would be enough to make the book a triumph. It is therefore churlish to wish for more, yet, I will play the churl. At the stage of diagnosis, Deneen is masterful; at the stage of prescription, he relapses into liberalism (or more accurately, as I will explain, into liberalism’s false image of itself). At the stage of diagnosis, Deneen proves beyond a reasonable doubt that liberalism claims to eschew comprehensive substantive theories of the good, yet inevitably embeds and enforces just such a comprehensive substantive theory, based on a particular and erroneous anthropology. At the stage of prescription, puzzlingly, Deneen tries to eschew any competing comprehensive theory and plumps for a vague communitarian localism, which can finally exist only at the sufferance of the aggressive liberal state. In that sense the diagnosis itself undercuts the prescription, suggesting that the retreat into local communities is at best a precarious maneuver. Given this complaint, I will undertake a kind of Deneen fan fiction, offering an alternative ending to the book—one that is, I believe, more consistent with Deneen’s own argument. In the alternate ending, rather than retreating to a nostalgic localism, nonliberal actors strategically locate themselves within liberal institutions and work to undo the liberalism of the state from within. These actors possess a substantive comprehensive theory of the good, and seize opportunities to bring about its fulfillment through and by means of the very institutional machinery that the liberal state has providentially created. Then and only then will the liberal state, reintegrated from within, finally and truly become a victim of its own success. Two great neo-Tocquevillian themes structure and animate Deneen’s work. The first is that liberalism has been undone by its own success. The significance of this theme, and perhaps the book’s major contribution, is to reconcile two distinct observations, each of which rings true and is widely shared, yet which are in obvious tension with one another. The first observation is that liberalism has largely triumphed over its enemies, in the West and well beyond. “Survey mankind from China to Peru”—well, from South Korea to Peru to anyway, China being a messy case—and one sees liberal regimes, justified and legitimated in liberal terms.2 Its main competitors in the twentieth century, communism and fascism, have catastrophically collapsed. They survive principally in the fervid liberal imagination, as ever-present possibilities that may materialize if the slightest backsliding from the progress of liberal institutions occurs. They also serve as useful specters to be invoked in democratic elections. Liberal parties attempt to erect a cordon sanitaire to exclude nonliberal parties—even ones that have nothing to do with fascism or communism—on the ground that the only alternative to liberalism is tyranny. In the main, this strategy has been strikingly successful since the Second World War. Both within and beyond Europe and the Anglophone world, liberalism has created an imperium on which the sun never sets. The other observation, which initially seems to stand in tension with the success of liberalism, is that throughout its imperial domain liberalism is in visible decay. The cordon sanitaire has recently worn thin in the Western democracies. Nonliberal parties have had electoral success by winning parliamentary majorities, parliamentary seats, and referenda, or at least by changing the terms of debate, in Germany, Austria, Poland, Hungary, France, the United Kingdom, and the United States. In the nation that perhaps best approximates a self-consciously liberal constitutional polity, the United States, even the defenders of the liberal order acknowledge that it is tottering, as populations left out of the benefits of economic neoliberalism, and scorned by the opinion leaders of cultural liberalism, become resentfully disenchanted with the regime. As Deneen puts it, increasingly restive populations ask whether liberalism has made them free, or instead fastened them in new chains. Deneen’s theme of a liberalism “undone by success” squares its triumphs with its increasingly visible failings. The core of the book is an analysis of the self-undermining of liberalism in a series of domains—politics, culture, technology, arts, education—in which Deneen shows with power and subtlety that liberalism finds itself thwarted by its very dominance. The ever more relentless quest for liberation, which has to be imposed (directly or indirectly, by force of social sanctions) upon a population that is at least partly skeptical about the project, makes culture and the arts relentlessly conformist, makes technology confining and menacing, makes education into indoctrination. The very success of liberalism has created an intellectual, social and political order far more comprehensive and stifling than the regime against which Voltaire railed; and it has provoked an even more forceful reaction. Implicitly, Deneen also plays upon a second and closely related Tocquevillian theme: “words spoken to Napoleon by the poet François Andrieux: ‘On ne s’appuie que sur ce qui résiste’ (You can lean only on what offers resistance).”3 Liberalism has so relentlessly atomized the intermediate institutions of civil society—churches, social clubs and institutions, neighborhoods, families—that it no longer has any stable substrate on which to rest. Deneen observes that atomized citizens should, from the liberal standpoint, be perfect candidates for the “Life of Julia”—a famous Obama campaign commercial that sketched a vision of cradle-to-grave superintendence by the liberal state of essentially solitary individuals. Instead these individuals turn against their putative benefactors, animated both by a yearning for community and for a transcendent horizon denied them by the closed, relentlessly political and immanent horizon of the liberal order. From the liberal standpoint, this ingratitude of the beneficiaries is an abiding puzzle: what’s the matter with Kansas? In the final section of the book, Deneen turns to the aftermath of liberalism, and the interim stage we currently occupy, in which the liberal regime, in a kind of slow-motion collapse, lashes out dangerously at its critics and opponents. Deneen rightly says that there is no question of simply undoing liberalism. There can be no return to the integrated regime of the thirteenth century, whatever its attractions.4 This is not to say, of course, that the principles of an earlier nonliberal regime might not be translated into new circumstances, the old wine poured into new bottles. But it will have to take a different outward form, and to be born in a different way. To amplify Deneen’s own text somewhat, a similar logic also bars any return to some putatively better strain of liberalism (“classical liberalism” or what have you). In different versions, the hope is for a return to the Europe of the postwar era, a return to the America of the 1950s–1970s, or even a return to the neoliberal (or largely neoconservative ) paradise of the late 1980s and 1990s.5 But all such nostalgia rests on some version of the assumption that it is possible to separate imperialist progressive liberalism from an older good, or at least stable, version of liberalism. Deneen conclusively refutes this idea, showing that the progression (as it were) from one form of liberalism to another unfolds by a logical dynamic, an inner necessity. A magical return to the old liberalism, were it somehow to occur, would merely restart the same process. As Valéry Giscard d’Estaing put it in a related context, “There is no question of returning to the pre-1968 situation, first because the pre-1968 situation included the conditions that brought about 1968.”6 The only way out is forward. But according to Deneen—and I will indicate shortly that this is the precise moment when Deneen’s argument takes a wrong turn—a postliberal politics must “avoid the temptation to replace one ideology with another. Politics and human community must percolate from the bottom up, from experience and practice” (188). This cashes out in a call for localist living, work, and education, in “intentional communities that will benefit from the openness of liberal society. They will be regarded as ‘options’ within the liberal frame, and while suspect in the broader culture, largely permitted to exist so long as they are nonthreatening to the liberal order’s main business” (196). Above all, however, “the impulse to devise a new and better political theory in the wake of liberalism’s simultaneous triumph and demise is a temptation that must be resisted. The search for a comprehensive theory is what gave rise to liberalism and successor ideologies in the first place” (196). Rather the thing to hope for and work towards is “not a better theory, but better practices . . . [which] might finally be worthy of the name ‘liberal’” (197–98). Thus far Deneen. Without question the book will achieve its aim of shaping the conversation in the future. Let me pass on, however, to three interrelated complaints about it. I call them complaints to underscore the sheer petulance and ingratitude of my demands. They amount to whining that an outstanding work might have been a masterpiece. The interrelated trinity of complaint is that Deneen has (1) a methodological problem rooted in a lack of specificity about the motivations of liberal agents, a problem that (2) causes his prescription to be inconsistent with his diagnosis (what economists call a “determinacy paradox”)7 and that also (3) causes Deneen, in the end, to fall back into the gravity well of liberalism even as he tries to escape it. I will explain this trinity and then propose an alternate ending for the book, one that avoids the determinacy paradox and that yields a genuinely illiberal answer to the question, What is to be done? My answer is that the state will have to be reintegrated from within, by the efforts of agents who occupy strategic positions within the shell of the liberal order.8 Less Benedict, more Esther, Mordecai, Joseph, and Daniel—and, as we will see, St. Cecilia and St. Paul. This is not to say Deneen has no theory of the liberal agent or active subject. In fact I believe he has two. It is just that for reasons I do not clearly understand, he is reluctant to spell them out and leaves both largely implicit, or at least embodied in scattered observations, rather than drawn together in an explicitly organized manner. The first theory is that liberal agents are selfish hedonists. At a number of points Deneen suggests that liberal agents want to throw off the shackles of self-restraint, grounded in an objective moral order, in order to indulge themselves in ever more refined pleasures (not necessarily, of course, pleasures of the flesh). There is no doubt that this captures a strand of liberalism. Consider John Stuart Mill’s “experiments in living,” which concretely amounted to experiments in ignoring the justified moral claims of people who made the mistake of interacting with Mill.9 The problem with this theory, however, is that it cannot fully explain (except with a tautologically broad account of hedonic value) the history of liberalism, which features acts of astonishing self-sacrifice, dedicated evangelization, martyrdom—all things which would be laudable in a better substantive cause. Liberalism has its self-denying and radically committed vanguard, its Dominicans and Jesuits, and these are the agents who carried the movement forward and cemented it into place, whatever the wishes of the broader population. The second and far more plausible account, which does capture this history, is that liberalism is a world religion—and one of the most successful religions in human history, among elites anyway. Liberalism has a soteriology, an eschatology, a clergy (or “clerisy”),10 and sacraments, centered on the confession and surrender of privilege, the redemption of declaring oneself an “ally,” the overcoming of the dark past of prejudice and unreason—a past that is itself always in motion, so that the night of unreason may well suddenly come to mean what everyone believed last year. Liberalism “immanentizes the eschaton,”11 as we know, and part of this process is to immanentize the threat of political damnation, by relentlessly pressing the claim that the only political alternatives to liberalism are sectarian strife, communism, or fascism—but especially fascism. Even at this late hour liberals still insist upon this false alternative, even as it visibly becomes less persuasive to polities around the world, which have realized that there are stable, peaceful, and non-tyrannical political regimes that are not liberal regimes. So liberalism is best understood as a fighting, evangelistic faith. Universities should have departments that situate liberalism in the same space as Christianity, Islam, and Buddhism. And the liberal agents who have the greatest political effect are best understood as ascetic and highly motivated, not hedonistic. A fighting sub-cadre of liberals attempts to spread their faith to the ends of the earth—quite rightly, given their salvific premises. Deneen never explicitly endorses this theory, but it pervades the book and Deneen often alludes to it, referring in a sideways fashion to liberalism’s dogmas and sacrosanct commitments. Why then should liberal agents ultimately allow, at least as a matter of principle, Deneen communities to exist at all? If the liberal state does allow them to exist, it is only for purely practical reasons—because the state has limited resources for the enforcement of tolerance, and a welter of conflicting priorities. Deneen gestures at this answer, and it is not wrong, but it isn’t quite right either, because there is a lurking fallacy of composition. Even if the liberal state lacks the time, resources, or attention span to eliminate all competing subcommunities collectively and simultaneously, it may still be able to eliminate any competitor at will, taken individually and one by one. Each nonliberal—or even insufficiently liberal—subcommunity is therefore exposed indefinitely to a standing existential risk. My third complaint, accordingly, is that localist Deneen communities can have no answer to the overhanging threat of liberalism if, and because, they deliberately eschew any substantive comprehensive theory of the common good. I have called this a relapse into liberalism, but strictly speaking it is not, for liberalism evangelizes with just such a substantive theory. It is rather a relapse into liberalism’s advertised image of apolitical neutrality. (That image may be a self-conception too, even if a false one; there are thorny questions here about the possibly false consciousness of liberal agents, questions whose resolution is inessential to my points and which would take me too far afield.) But this leaves Deneen communities with no more theoretical and intellectual defenses than they have material ones. Absent the strong glue of a common theory of the good, such a community lacks the moral, spiritual, and emotional resources to stand against liberal encroachments. There are two ways to frame the strategic question. One is that it takes a comprehensive theory to beat a comprehensive theory. Whether or not this is true in strictly intellectual debate, it is true in lived politics. There is no way to actually embody a postliberal community without the tendons and sinews provided by a common vision of the good life. The other way to frame it is that there is no escape from having some substantive vision or other of the common good, no way not to have an “ideology.” Deneen rightly says that liberalism “masked [its] normative commitments in the guise of neutrality” (188). Yet he slips back into the idea that there is some way to shape the mask into a true face, some way to reach—and this is Deneen’s own title for a key final section of the book—“The End of Ideology.” But this is the old liberal advertisement or perhaps fantasy, the hopeless dream that it sells and may itself even believe, that the absence of ideology is possible. How Deneen’s call for the end of ideology represents a postliberal perspective is unclear. And indeed Deneen ends with the hope that his localized, nontheoretical practices “might finally be worthy of the name ‘liberal’” (198). A cautionary tale, all told: one must be relentless to escape the gravity well of liberalism. Let me sketch an alternate fantasy ending to Deneen’s book, one that would avoid this relapse. Liberalism is visibly sagging and collapsing around us, having undermined its own foundations. The nonliberal state that emerges will have to be born from within the frame of the old order. The problem is not whether liberalism is in some abstract sense desirable, for its eventual demise is inevitable. The only practical problem is how to shorten and lessen the birth-pangs of liberalism’s successor. At the same time, and for the same reasons, there is no escape from “theory,” no escape from articulating a substantive and comprehensive vision of the good that will replace the substantive—albeit hedonistic and plastic—vision that underpins liberalism. For the foreseeable future, the problem will be to mitigate the spasmodic, but compulsive and repetitive, aggression of the decaying liberal state against its perceived competitors. 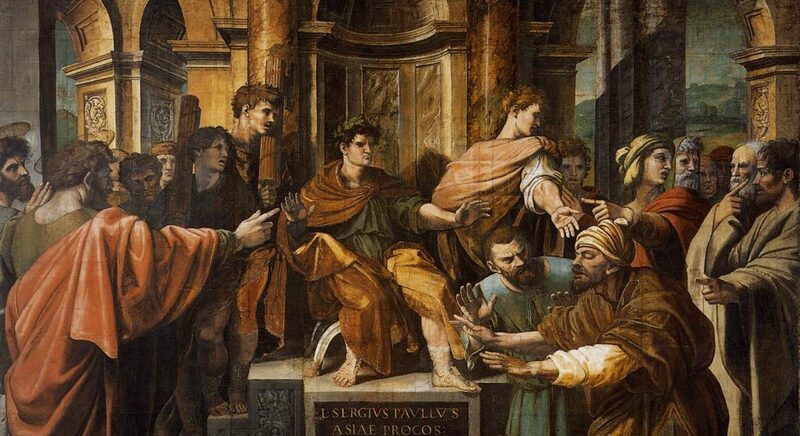 In this setting the models are Joseph, Mordecai, Esther, and Daniel, who in various ways exploit their providential ties to political incumbents with very different views, in order to protect their own views and the community who shares them. This is not the problem of doing evil to do good; none of these agents transgress the bounds of morality, although they act strategically within those bounds. What marks out these agents as distinctive is that they are fully engaged with and within the world of the imperium, and fully loyal to it—so long as there is no conflict with their ultimate commitments. There is no hint here of a “Benedict Option”12 or of a localist Deneen community. Insofar as these figures, like Joseph, Mordecai, and Daniel, hold posts as elite administrators—or if, like Esther, they gain the affection and respect of those who formally wield power, and thereby exert influence—they may even come to occupy the commanding heights of the administrative state. Again, this is not to be imagined as disloyal, or as anything but worthy service to the regime. But in the setting of the administrative state, these agents may have a great deal of discretion to further human dignity and the common good, defined entirely in substantive rather than procedural-technical terms. It would be wrong to conclude that integration from within is a matter of coercion, as opposed to persuasion and conversion, for the distinction is so fragile as to be nearly useless. As J. F. Stephen noted, there is a type of intellectual and rhetorical “warfare” in which “the weaker opinion—the less robust and deeply seated feeling—is rooted out to the last fiber, the place where it grew being seared as with a hot iron.”14 In a more recent register, we have learned from behavioral economics that agents with administrative control over default rules may nudge whole populations in desirable directions, in an exercise of “soft paternalism.” It is a useless exercise to debate whether or not this shaping from above is best understood as coercive, or rather as an appeal to the “true” underlying preferences of the governed. Instead it is a matter of finding a strategic position from which to sear the liberal faith with hot irons, to defeat and capture the hearts and minds of liberal agents, to take over the institutions of the old order that liberalism has itself prepared and to turn them to the promotion of human dignity and the common good. In my view, only in this way will liberalism well and truly fall victim to its own success. And this line of approach would make straight the crooked turn at the end of Deneen’s near-masterpiece. This review essay is a contribution to a symposium on The End of Liberalism. Additional reviews can be found here, here, and here. 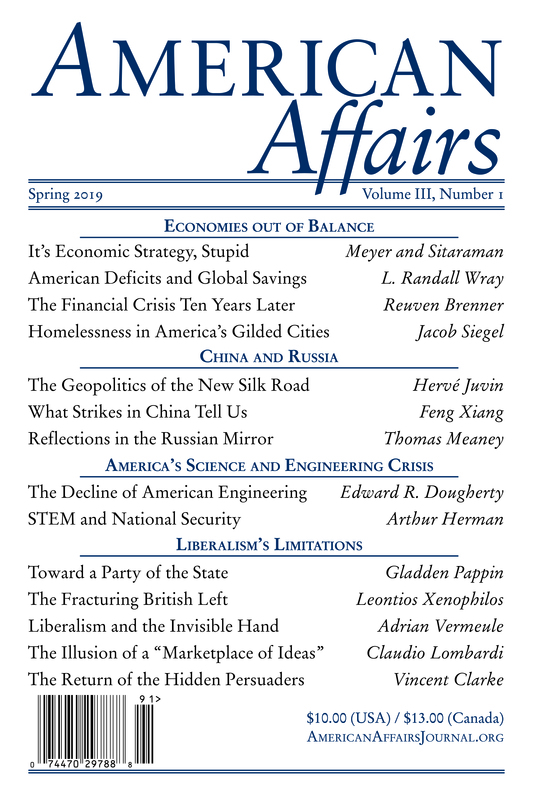 This article originally appeared in American Affairs Volume II, Number 1 (Spring 2018): 202–13. The author would like to thank Jack Goldsmith for excellent comments. 1 For discussion, see Jon Elster, Alexis de Tocqueville: The First Social Scientist (Cambridge: Cambridge University Press, 2009), chap. 9. 2 Samuel Johnson, The Vanity of Human Wishes (London: Dodsley, 1749). 4 Andrew Willard Jones, Before Church and State: A Study of Social Order in the Sacramental Kingdom of St. Louis IX (Steubenville, Ohio: Emmaus, 2016). 5 See, respectively, “The Paris Statement: A Europe We Can Believe In”; Randall Ballmer, “Breaking Faith,” review of Bad Religion, by Ross Douthat, New York Times, April 27, 2012; Sohrab Ahmari, “The Apostle of Human Freedom,” review of Lessons in Hope, by George Weigel, Commentary, November 13, 2017. 6 “Il n’est pas question de revenir à la situation d’avant 1968, d’abord parce que la situation d’avant 1968 comportait les conditions qui ont créé 1968.” Valéry Giscard d’Estaing, “Si je vais voir les Français, c’est que j’ai envie de les rencontrer,” Le Monde, January 8, 1975. 7 Symposium, Economics and Politics 9, no. 3 (November 1997): 205–82. 9 Helen R. Andrews, “Romance and Socialism in J. S. Mill,” American Affairs 1, no. 2 (Summer 2017): 199–208. 10 Maurice Cowling, Mill and Liberalism (Cambridge: Cambridge University Press, 1963). 11 Eric Voegelin, The New Science of Politics: An Introduction (Chicago: University of Chicago Press, 1952). 12 Rod Dreher, The Benedict Option: A Strategy for Christians in a Post-Christian Nation (New York: Sentinel, 2016). 13 Cf. Joseph de Maistre, Considerations on France, ed. Richard A. Lebrun (Cambridge: Cambridge University Press, 1994). 14 James Fitzjames Stephen, Liberty, Equality, Fraternity, ed. Stuart D. Warner (Indianapolis: Liberty Fund, 1993). Adrian Vermeule is the Ralph S. Tyler Professor of Constitutional Law at Harvard Law School.